and contacts in one place, online. With Karani, it's easy to track your finances. Add or import your gifts and pledges with Karani so you always know where your funding is at. Fundraising is all about relationships. Use Karani to remember all the calls, asks, letters, thank you's, meetings, and interactions you've had with the people in your network. Spend less time figuring out what to do next. 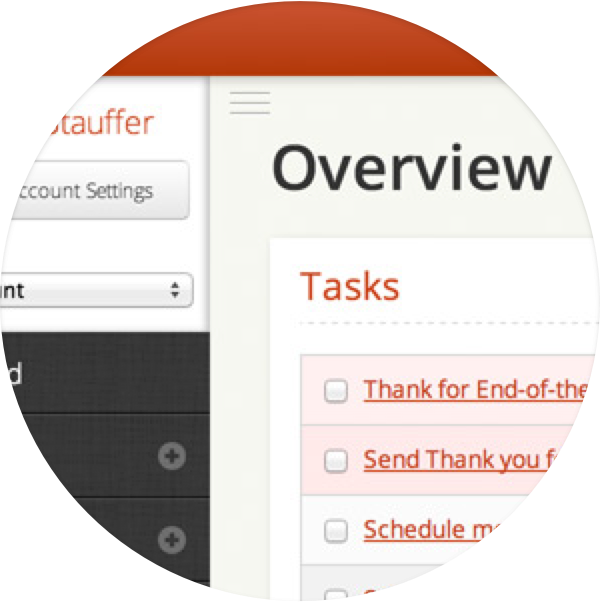 Keep your fundraising to-do's in Karani and say bye-bye to messy paper to-do lists forever. 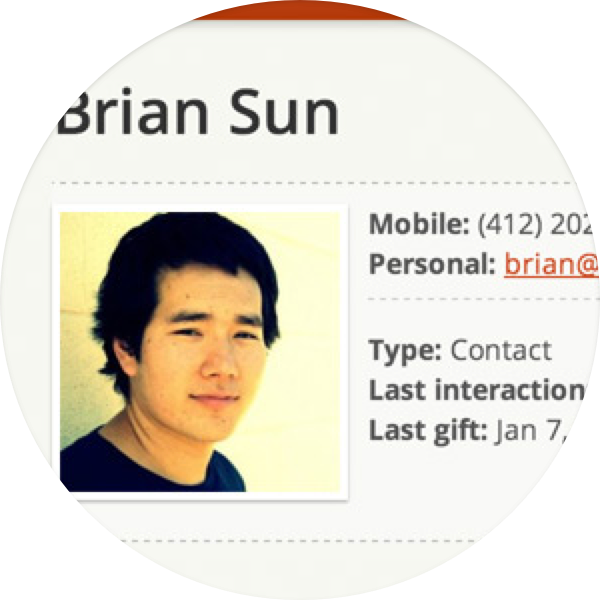 Store the contact information of your donors, prospects, and everyone else who matters in your fundraising. Since Karani lives in the cloud, you can access this information with an internet connection anytime, anywhere. Customer support from people who've been there. The Karani support team is made up of former fundraisers who've experienced the pain, privilege, difficulty, and joy of fundraising. We know what fundraising is like and we know the ins and outs of Karani. You can ask us anything. 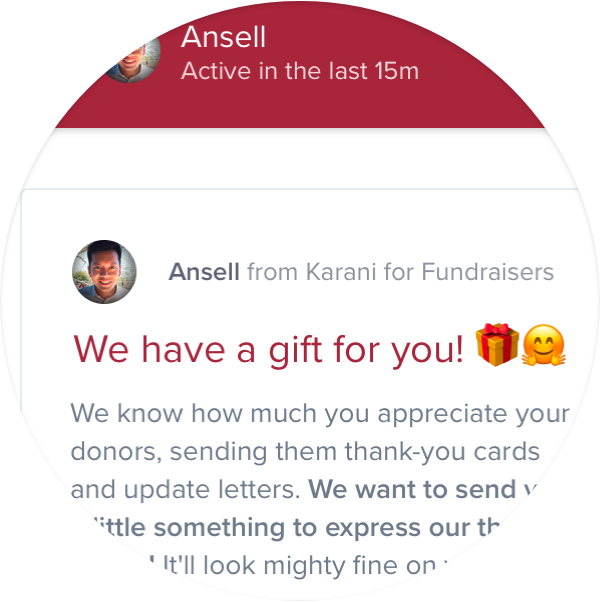 Built for fundraisers whose primary responsibility isn't fundraising, Karani gives you the power and functionality you need, while still being light and easy to use.